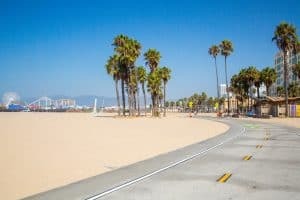 Five years after the accident, an injured woman and the family of a deceased woman recently came to a settlement with the City of Los Angeles, ending lawsuits accusing the city of failing to properly maintain parts of the Venice Beach Boulevard, allowing a driver to get around barriers and plow into pedestrians. The Los Angeles Times reports that the settlement outcome occurred because the plaintiffs were able to defeat the city’s claims of immunity—which would have swiftly ended their lawsuit—which put them in a position to negotiate an acceptable settlement. The car accident occurred in August 2013, on the Venice Beach Boardwalk. The usual locals and tourists were enjoying their typical summertime activities until a driver managed to maneuver his way around the boardwalk’s barriers and drove his vehicle into the crowd. The resulting accident injured 16 people and killed one woman from Italy, who was on her honeymoon. The lawsuits, from one of the injured and the family of the deceased woman, sued the city, stating that the barriers between the boardwalk and a nearby street—which the driver used to enter the boardwalk with his vehicle—were a dangerous condition, and the city’s failure to address this hazard made it liable for the injuries and fatality. When walking or biking along a boardwalk or public walkway, you may find yourself involved in an accident. If this happens, your attorney can guide you in working to obtain the compensation you need. First, you must establish that a dangerous condition existed and that the owner (in this case, the City of Los Angeles) either knew about the hazard or should have known about if they were using reasonable care. Another issue the plaintiffs had to address in this case was the claims of immunity by the city. There are several scenarios where government entities are entitled to immunity from lawsuits and paying out compensation. One of these scenarios applies to certain pathways and walkways, and says that a government entity is not liable for the condition of a trail used for recreational purposes. The city argued that this statute applied to the situation and they should be immune to facing trial for any injuries or fatalities stemming from the boardwalk accident. However, the courts disagreed and sided with the plaintiffs on the basis that areas that generate substantial commercial revenue don’t apply to the “trail immunity” benefit. With many lawsuits, only after losing a summary judgement motion such as this and facing the prospect of a full trial will a defendant finally make a reasonable and appropriate settlement offer. In this case, the defendant and plaintiffs were able to come to a mutual and fair settlement. The plaintiffs agreed to end their lawsuits in exchange for $14M from the city. If you were injured due to another person’s or entity’s negligence, the accident attorneys at Taylor & Ring can help. We will help you seek compensation for your damages and losses, and take care of your legal needs while you rest and heal from your injuries. Talk to our Los Angeles lawyers today at 310.776.6390 or complete our contact form to schedule a consultation.